Animal removal can be tricky at times. Being able to pinpoint the location, identify the source of the noise and remove the animal is one of the harder aspects of wildlife control. Our wildlife experts use the latest in technology to help them. Wildlife Release atPhoenix Wildlife Center on Vimeo. Watch as our wildlife team begins a flying squirrel removal! Flying Squirrels are actually quite common in Maryland, although they are not often seen due to their nocturnal nature. They get their name from the webbed skin that stretches from their front to their rear legs that enables them to glide distances of up to 200 feet! 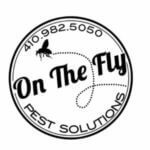 Their size enables them to fit into holes the size of a dime and, in this case, take refuge in an Owings Mills customer’s attic. Flying squirrels are a colonizing species and will live together in groups of up to 15 members. This creates quite a racket and quite a mess. Our wildlife team found the entry point, trapped the squirrels and sealed up the attic to prevent any future intrusions. Watch as our wildlife technicians release a groundhog they had caught!